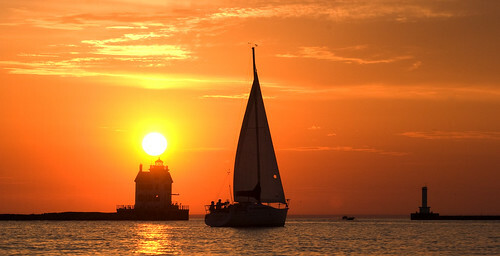 Nothing is more romantic than watching a beautiful Lorain sunset kayak-by-kayak with the man of my dreams AND him understanding that I'm focusing more of my attention on the camera than on him. i never saw him paddle ... as you can see, his feet are resting on the mast. 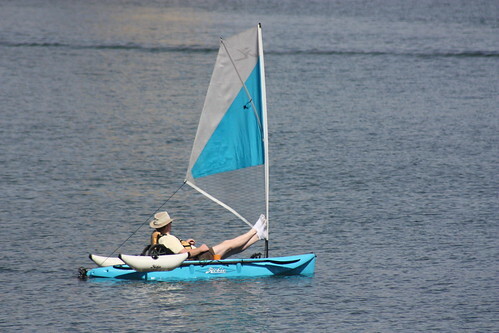 the laziest kayaker i ever saw!